Keepit is not only a backup service for Office 365.
digital transformation. Based on a unique cloud storage, Keepit is cloud born to protect, provide deep insights, complex integrations and unified data protection in the cloud era. 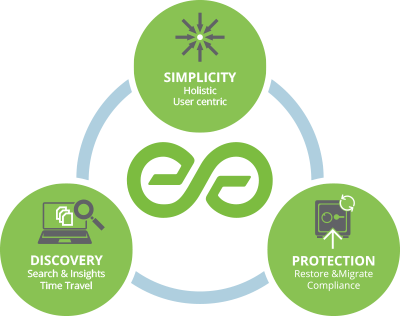 The solution to all weak spots is the ability to rewind your data in time and No cloud service provides you with the ability to rewind your data live – it is too expensive! • Support - World-class support. Even in Dutch. • Insights - A transparent overview of interrupted or stopped backups, ensuring that you can see that all relevant data has been secured.